This seemed like a neat item for fast-baking potatoes in the miorowave. 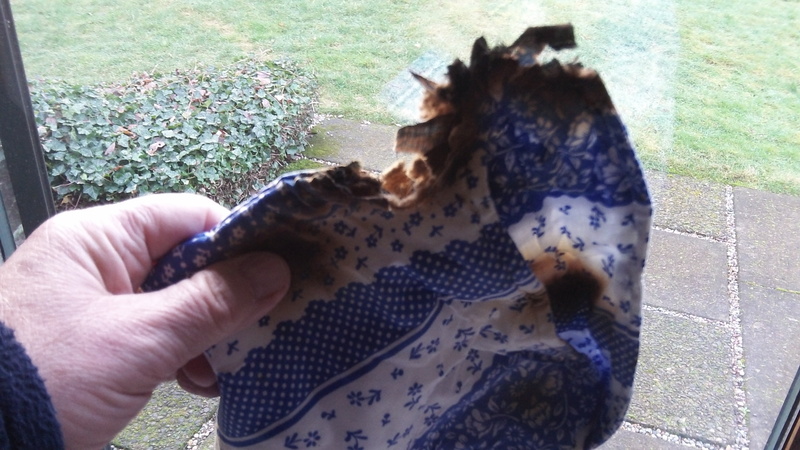 The potatoes turned out fine, but the fabric pouch for baking them did not survive. The instructions were simple enough even for me. Wash the potatoes, wrap them in this pouch and zap them for eight minutes. When the microwave shut off, something in there was smoking. And when I hurried the pouch outside lest I set off the smoke alarm, the pouch erupted in open flames. I bake potatoes in my microwave all the time – no bag needed. Just wash the potato, poke a few holes in it with a fork, lay it on a paper towel in the microwave, and pop it in for 4-5 minutes (depending on the size of the potato). Probably too easy, eh? To continue this “public service notice” maybe you should give the purchase info to warn others in more detail. Just a thought. It was a gift. As for buyers, caveat emptor.